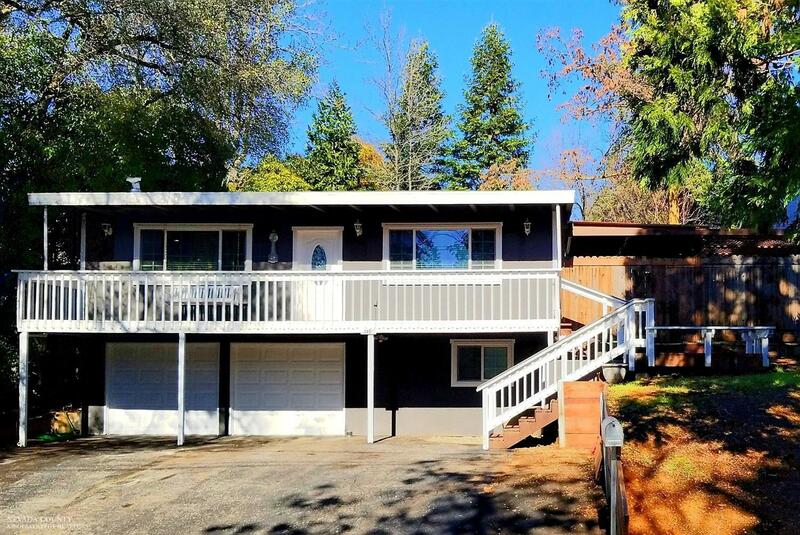 This well maintained contemporary charmer features 2 additional downstairs bonus rooms currently utilized as a bedroom and full bath laundry room combo complete with cabinets and counter space. This home proudly displays new paint inside and out, new carpet and laminate flooring, Granite Countertops in Kitchen, master bath and guest bath as well as handy dual sinks in the guest bath. The large master bedroom opens to the big master bath area with an oversized walk in closet. Guest bedroom has its own patio and sliding door. The large covered patio is perfect for entertaining or relaxing. Included are two oversized outbuildings and a fenced back yard. Home has an attached 2 car finished garage and flooring in addition to lots of additional paved parking outside. Located in desirable school district and not far from old town Auburn and all it offers. Enjoy the magnificent view of the courthouse from the large front deck!